If you’re like me then you are more than happy to pick up a paint brush and start painting walls. 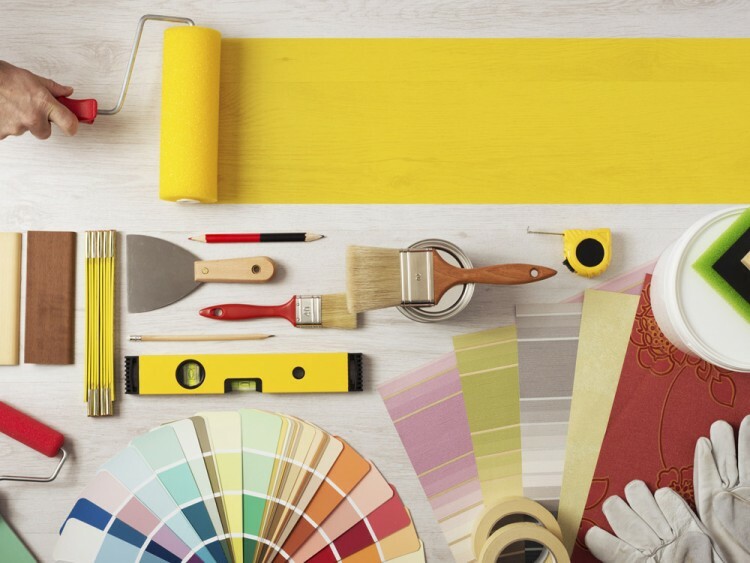 Here are my top tips for how to paint walls that will give you that professional look, no matter which room you are painting. These tips are great if you are using a paint brush or a roller. I love matt paints, as they give a soft matt look and great for covering little imperfections on a wall. Gloss paints will give you a shine and are great for skirting and doors and perfect for keeping scuff marks at bay. Though depending on what you are doing, sometimes only a gloss will do. Cover your floors with dust sheets or old newspapers. Use the masking tape to cover the top of skirting boards or areas you don’t want paint to cover. Get out old clothes or buy a paint suit from a DIY store, you will thank yourself when you don’t get paint on your new jeans. This step is important if you want to have your walls looking good. Take a 1″ brush, your paint and paint along the top of walls, around sockets, around doors and along the top of skirting boards. Paint an edge around anything that you want to see a nice clean sharp line. Be careful to not paint over on the edge that you need to keep clean of paint. This will also help when you come to paint using a roller. Now that you have edged your walls, you can paint the rest of the wall with a roller or a brush. Take a section and paint from top to bottom. Do this around the whole room. Remember to not overload your paint brush or roller with too much paint. Now that you’ve done one coat, this is where you decide if you want to do another. This is up to you and how the wall takes the paint. If you decide to not do another coat, then check your walls for any patches that need touching up and give it a light sand, this will make the finish smoother. Stand back and admire your handy work. Tip – the above steps are perfect to follow if you are painting a ceiling. If you’re painting the whole room, do the ceiling first. Let me know what you think of the how to paint walls and if you would like to share your colourful ideas, use #eatsleepcolour.